David Gilbert became the first player to book his place in the 2017 Championship League Winners’ Group, beating Ryan Day in the Group 1 final at the tournament’s new venue, the Ricoh Arena in Coventry. Day raced to a 2-0 lead in the best-of-five final but was pegged back by Gilbert, who made breaks of 121 and then 52 to level. The Tamworth potter then completed the turnaround with a 45 clearance to progress to the Winners’ Group for the first time. Welshman Day had defeated Anthony McGill 3-2 in his group semi-final, making a 135 in the opening frame to take the £500 high break prize. 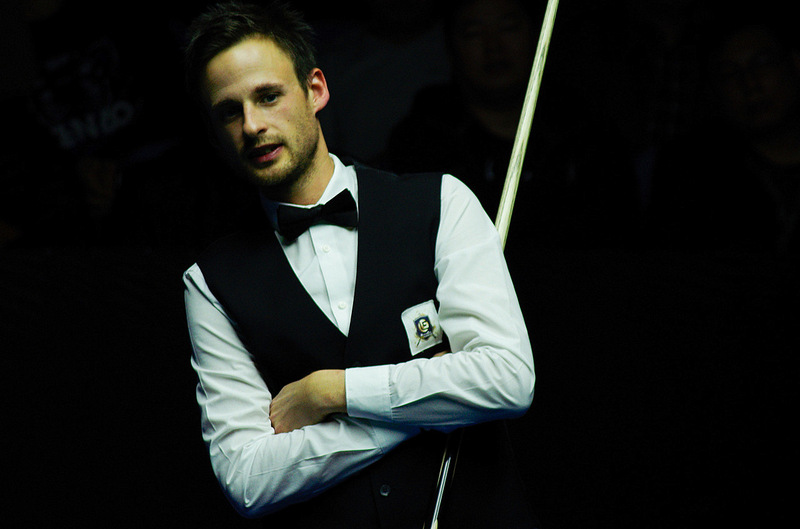 Gilbert had seen off Mark Davis 3-1 in his semi-final. “I scraped through the group and Ben Woollaston could have put me out earlier today, so I was a bit lucky to get through to the play-offs,” said Gilbert. “The table was quite tough and I hadn’t played a lot over Christmas. I lost a frame when he needed a snooker, so it was looking bad from there. I have rode my luck a bit these last two days but I am chuffed to bits to get through. Having finished fifth on the round robin group table, Matthew Selt will return to compete in group two along with Davis, McGill and Day. They will be joined by Neil Robertson, Mark Williams and Michael White. Ben Woollaston and Robert Milkins were eliminated from the tournament.